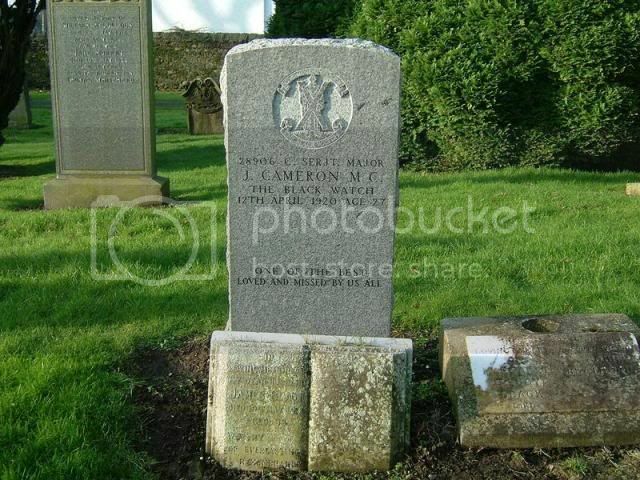 Additional information: Husband of Isabella Cameron, of Victoria Place, Davidson's Mains, Midlothian. 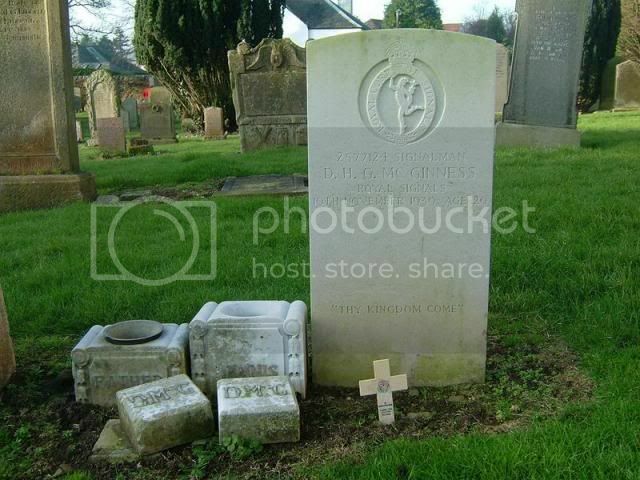 Additional information: Son of Mary Clark, of Davidson's Mains, Edinburgh. 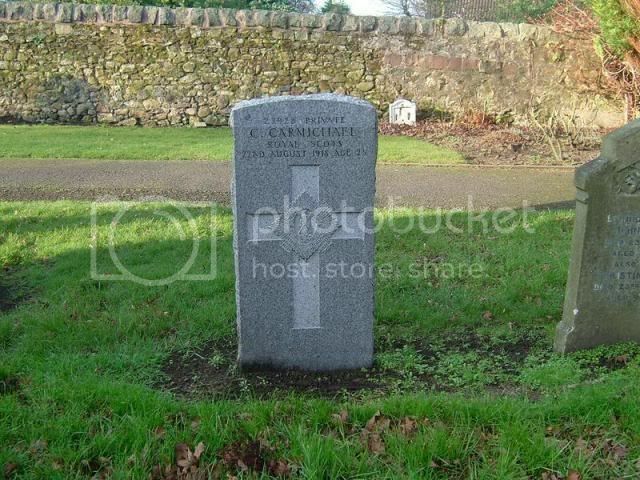 Additional information: Husband of E. H. Cunningham, of Cramond, Edinburgh. 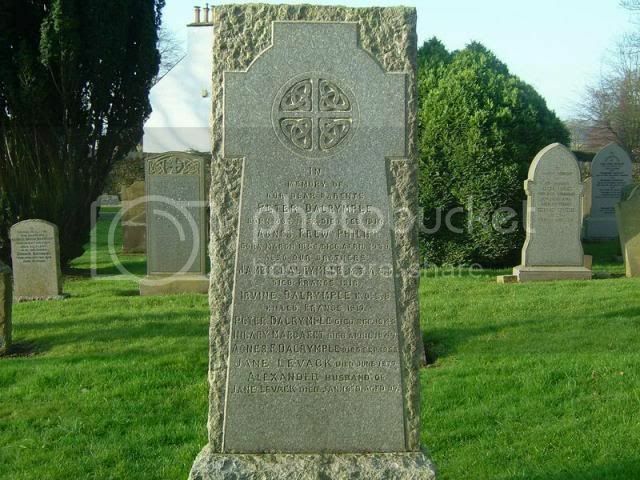 Additional information: Son of George and Marion Hogg, of Victoria Place, Davidson's Mains, Midlothian. Born at Davidson's Mains, Midlothian. 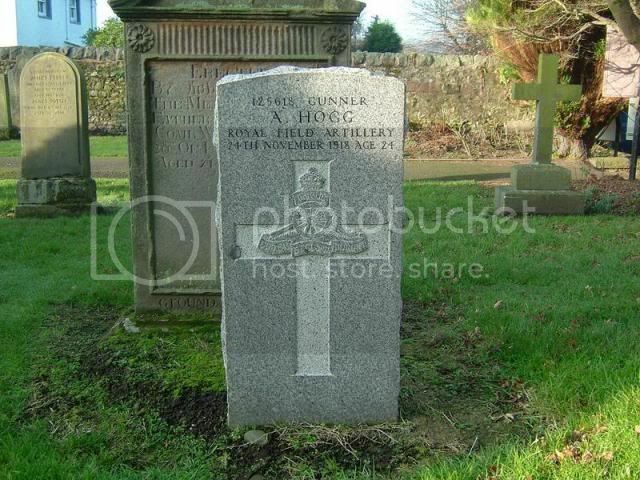 Additional information: Son of James Wakeford Locke, and of Melita S. Locke, of Davidson's Mains, Edinburgh. 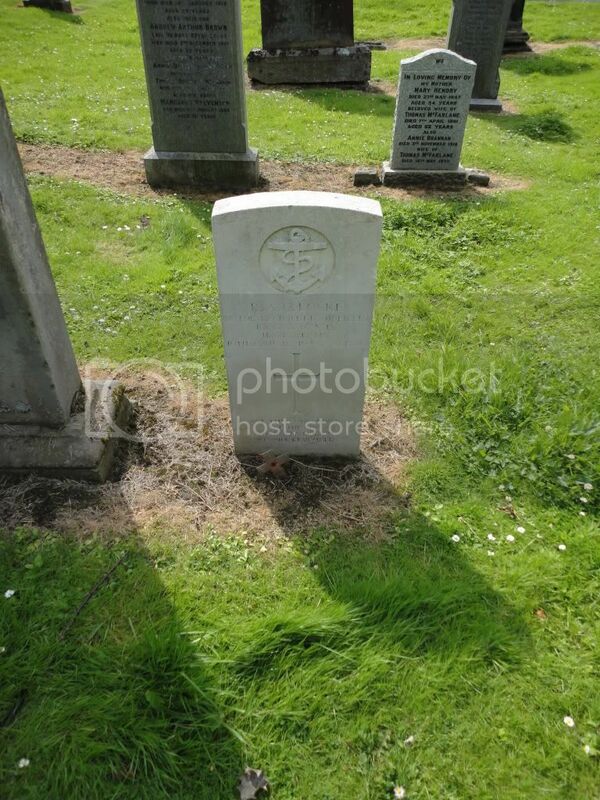 Additional information: Son of Andrew and Rachel McGinness, of Edinburgh. Unit Text: 4th Bn. attd. 5th/6th Bn. 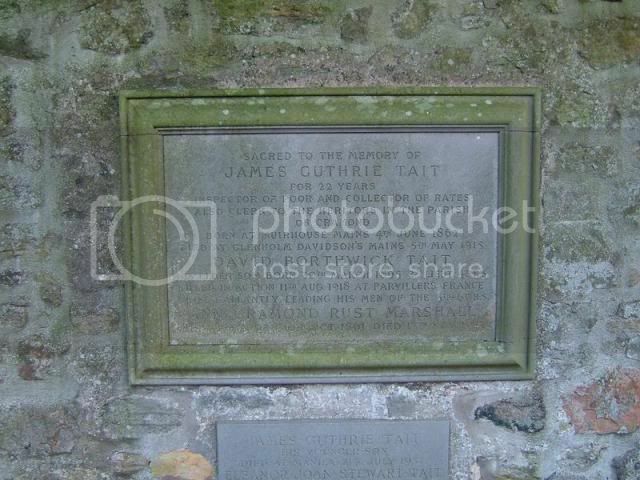 Additional information: Son of Annie Cramond Tait, of Glenholm, Davidson's Mains, Edinburgh, and the late James Guthrie Tait. Formerly employed on Staff of Royal Bank of Scotland, Edinburgh. Grave/Memorial Reference: V. E. 23. Secondary Unit Text: and 1st Hampshire Heavy Bty. Additional information: Son of Col. James F. Mackay, C.B.E., and Mrs. A. A. Mackay, of White House, Cramond Bridge, Midlothian. Strathy is a community on the North coast of Sutherland where most of the population has the surname Mackay. I'd be surprised if 2nd Lt Mackay didn't have a Sutherland connection. Unit Text: 20th G.H.Q. Reserve M.T. Coy. 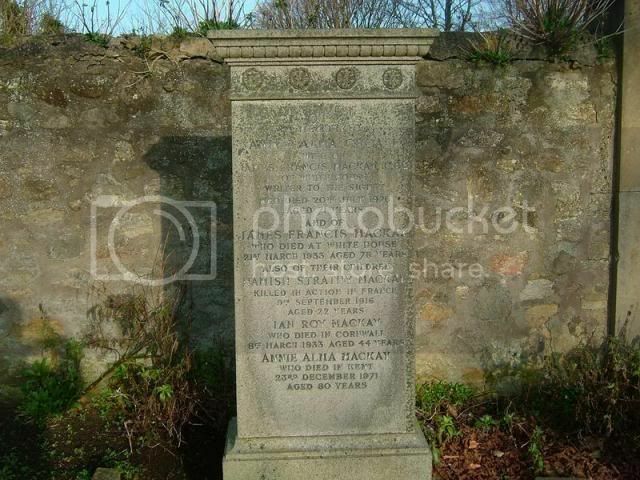 Additional information: Son of Mrs. Agnes Dalrymple, of Davidson's Mains, Edinburgh; husband of Lizzie Dalrymple, of 200, Bonnington Rd., Leith. Locke. Maybe this poor photo can be added to the Locke entry. Locke photograph now added to its post.